As you surge down dazzling blue rapids, white water spray flies through the air. You steer your paddle to the left and right as your adventure accomplices laugh in pure excitement – it’s definitely the water steering you! The waters lull for a second, and you wipe your eyes to see a Berber farmer stopping briefly on his morning rounds to check out your ride. If this sounds like something out of some wild, wanderlust-fuelled fantasy, think again – because it is exactly what you could experience whilst white water rafting in Morocco. Up in the High Atlas Mountains of Morocco, there are a series of rivers and gorges that would impress even the biggest watersports fans. 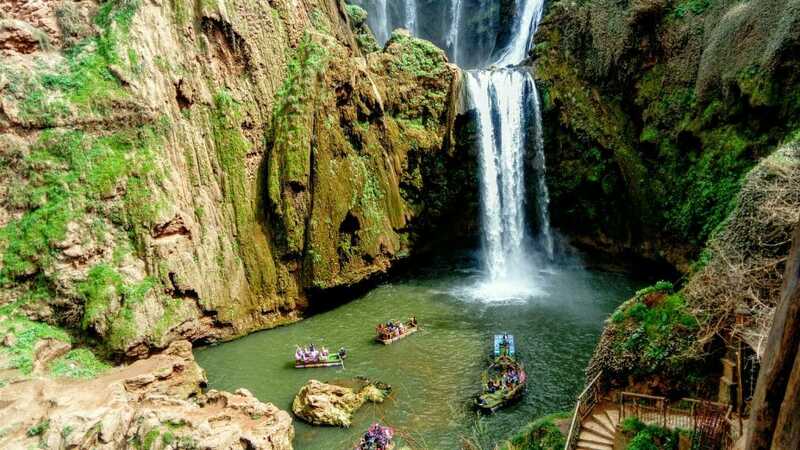 But, hidden away in the mountains, Morocco’s rafting mecca is far from a mass tourist hotspot – you’re more likely to see Berber villages and wild monkeys than lilos and beach towels! Here at The Bucket List Company, we know how to make every second count. Even before you see the rapids, you’ll be making memories to last a lifetime. Leaving the hustle and bustle of Marrakech, we drive along the scenic mountain roads to reach the High Atlas Mountains. You will see the dusty orange streets slowly morph into rugged foothills and then, suddenly, you will catch your first glimpse of the spectacular Atlas Mountains. These majestic, snow-peaked mountains are a stunning sight, and this first encounter is bound to get you excited for what lies in the valleys beneath! On our journey to rafting base camp, we make the most of the diverse surroundings by stopping off at Morocco’s most famous waterfalls. The Cascades d’Ouzoud stand at over 100 metres high, with three tiers of cascading falls plunging into an emerald green pool. Here, we will stop for a spot of lunch. But watch your food, because there are lots of veryfriendly wild monkeys roaming the area who are bound to jump on our tables to say hello! We still haven’t got stuck in to the rafting yet, but there are even more bucket list moments to experience on the way! As we walk the mountain path to our guesthouse, we pass through the domain of local Berber farmers. 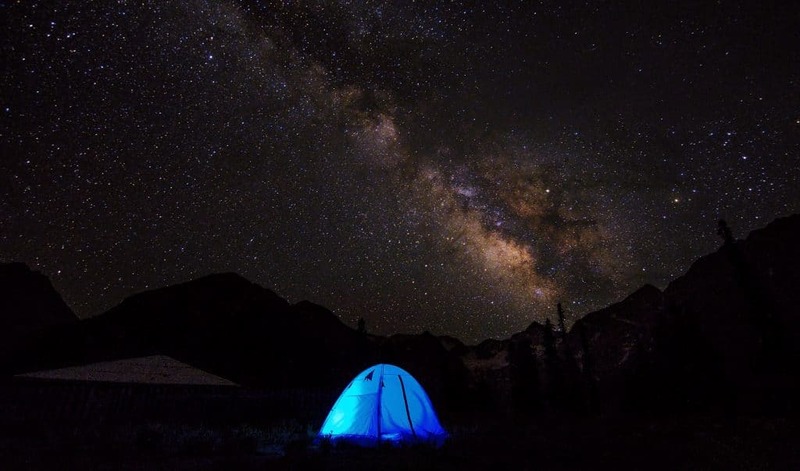 This is a nomadic culture you will encounter nowhere else in the world. As we hike across curious mud-brick bridges that somehow seem to float over the water, we pass the Berber farmers herding sheep or leading mules along the dusty mountain paths. The next day is rafting day – and this is where we get into true bucket list material. We start our journey by the striking Cathedral Rock. This impressive geological formation strikes out from the ground and towers over the waters below. You can easily see where it got its name seeing its unusual shape. In fact, this whole region is full of geological wonders, from the Jurassic limestone bridge at Pont d’Imin Ifri, to the dinosaur tracks of millenia-old sauropodes. Get your camera out and take a moment to absorb the incredible natural history of this unique part of the world. Now the adventure really begins. After you’ve had all of your safety briefings and practice, it’s time to get racing those rapids! 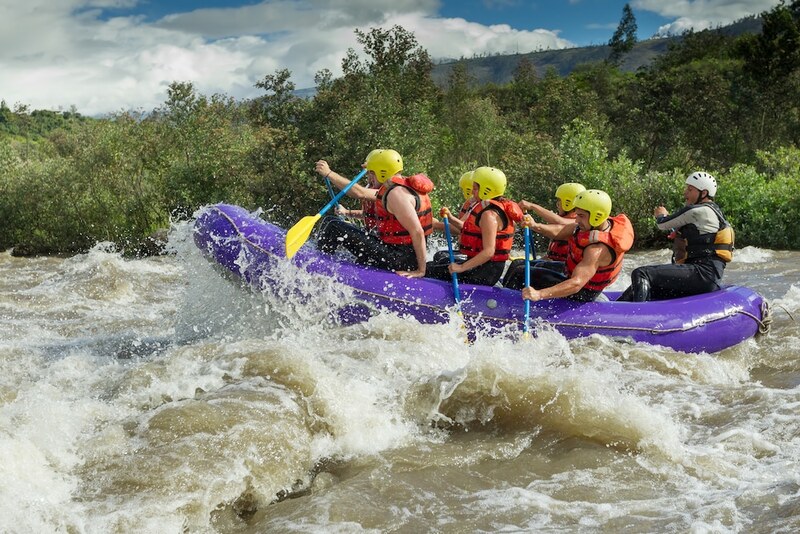 The experience of whizzing down class 3 and 4 rapids is unforgettable – the raft rocks and skims over the water as the river takes you flying at heart-racing speeds. Whilst exhilarating, the rapids of the Ahansel River are perfect for beginners, giving you a truly enjoyable rafting experience. Ask anyone who has been to Morocco what is the one thing they wish they could take home and they tell you it’s the Moroccan mint tea! Nowhere else in the world makes tea quite like it, but on this rafting trip, your morning tea becomes a moment to cherish. You will be woken by the sound of gushing rapids calling your name. Emerging from your tent, the delicious aroma of mint tea and a freshly-cooked Moroccan breakfast beckons. This is the perfect moment to sit back and take in the beauty of this unbelievable journey. 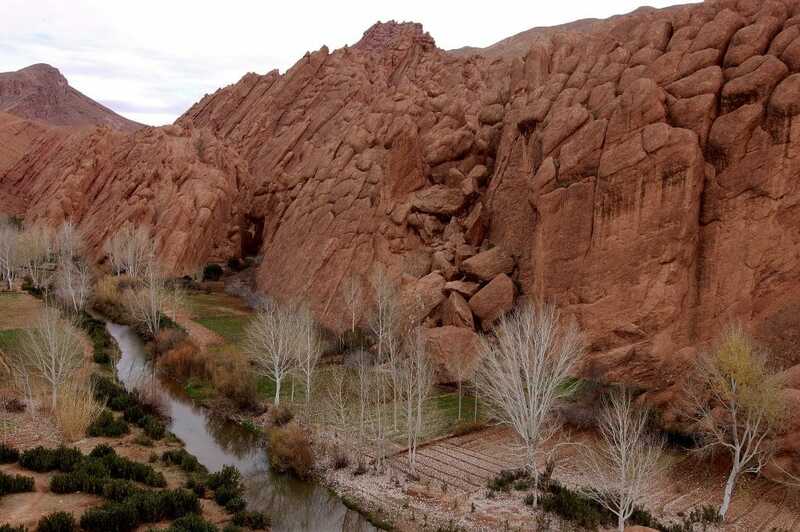 Today, we take our rafts to one of the most spectacular landscapes in Morocco – if not the world. We will paddle along some thrilling grade 3 to 4 rapids, carving through the immense red cliffs of the gigantic Dades Gorge. The route winds through fascinating narrow gorges before eventually opening up, as if out of nowhere, to the phenomenal Moroccan Grand Canyon. Here, the rock walls tower over spectacular turquoise waters. In this magical landscape, the waters are as azure blue as any glacial lake in Canada or Switzerland, the cliffs as magnificent as the Grand Canyon of America itself. After an exhilarating day exploring the canyon, it’s time to relax. We head to the tranquil oasis that is Lake El Bin Ouidane. This is the perfect place for a spot of lunch, which we can enjoy from an authentic fishing boat. Take in the beautiful scenery of the mountains and luscious lake shore as you dine on mouth-watering Moroccan dishes freshly prepared by your guides. It’s been an exciting couple of days, so you’ll be happy to have a moment to relax. Tonight, we head to our authentic Berber camp to enjoy a beer by the campfire, whilst eating a delicious tajine and sharing stories of our favourite moments from our rafting adventures, before retiring to our tents and sleeping beneath the stars. It’s time to head back to civilisation – but the excitement doesn’t stop there! You now have some free time to explore the vibrant city of Marrakech – a destination that is at the top of many people’s travel bucket lists. Today you can browse the colourful handicrafts on sale in the souks, watch local performers in Jeema el-Fnaa square or even visit a local hammam to reinvigorate your body after an incredible week of adventures. All of these unforgettable moments and more await on our white water rafting trips in Morocco. To find out more about ticking this amazing rafting adventure off your bucket list, contact us today on 0176 930 9007!